Onward, was the inaugural "Assembly Is Required" pop up event in 2014 hosted by Bridget Elmer and Kaitlin Crockett of @printstpete with artists Christina Poindexter, Lyman Edwards, and myself. Together we created a temporary space that encouraged community dialog and exchange. 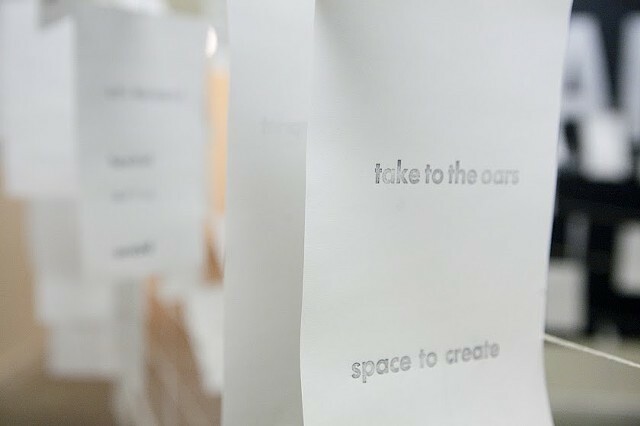 Studio visitors were assisted by artists in generating a site specific temporary sculpture comprised of their poetry while learning to use the letterpress.